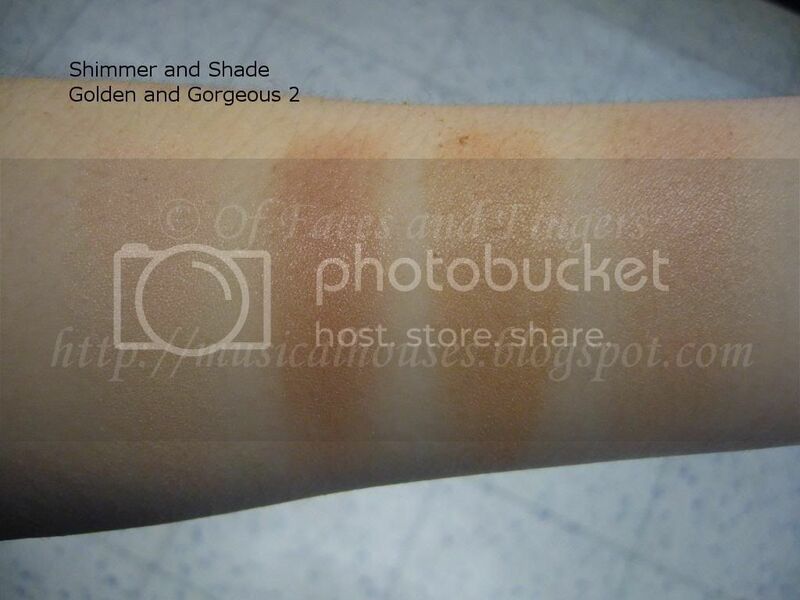 Collection 2000 Shimmer and Shade Powder Swatches! Collection 2000 is probably the cheapest brand of makeup you'll probably be able to buy in the UK, and it's akin to Wet n Wild in the US. However unlike Wet n Wild, which has a user base appreciative of its products, Collection 2000 doesn't seem to generate the same amount of interest. My personal hypothesis is that this is due to the fact that it is overshadowed by other UK drugstore brands (ahem, Sleek and Barry M), but also due to the fact that the quality of Collection 2000 items tend to be a little bit spotty. If you remember my previous Collection 2000 swatches, there were some items (the eyeshadow palettes, swatched HERE) that were just OK, and some items (the metallic liners, swatched HERE) that looked more promising, and some items that are just disappointing - today's swatches being a case in point. Maybe disappointing was a strong word. I guess that in the age of NARS, Cargo, Illamasqua, and other fiendish brands that produce blushes that have wow-pow-wham-bam pigmentation, I've come to expect that my blushes and highlighters should have more pigment rather than less. I'm sure not everyone agrees with me on this though, since blush intensity is really more a matter of preference and the look you're going for than anything else. Which is why though I don't love these, some other people definitely will. Anyway, despite the adorable packaging, the pigmentation on these was pretty sheer, with some colours verging on being chalky. You'll see what I mean with the swatches. The swatch on the extreme right shows all 3 colours blended together, while the first 3 swatches from the left show the individual colours in the palette. I think this one is alright. It's a bit chalky, and a bit weak in pigmentation, but the pink colour isn't too bad. 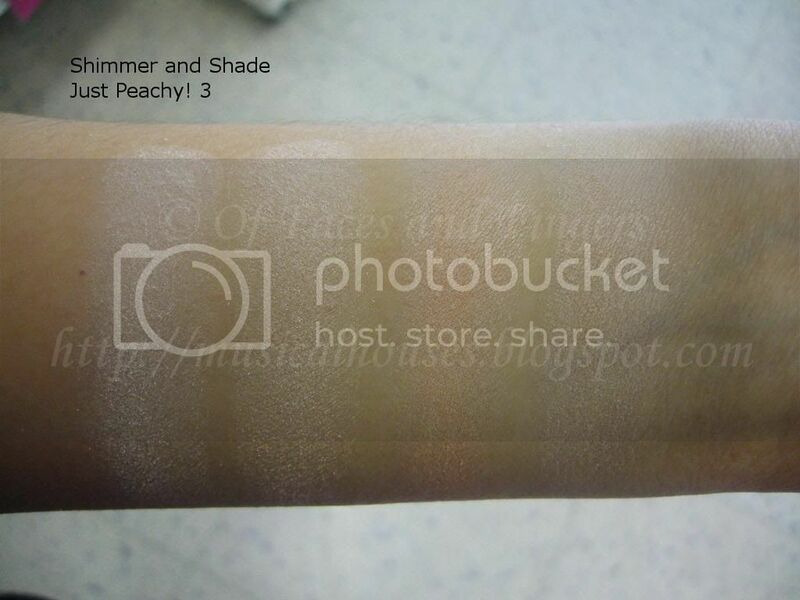 This one is a pretty peachy golden shade, which would work better on warmer-toned girls than cooler-toned ones. I know this is supposed to be peach, but on me it just turned out to be varying shades of off-white. And it was sheer. And chalky. This one probably the least impressive of the lot. It's probably best used as a highlighter for fairer girls since the colour doesn't really show up too well. I like Golden and Gorgeous Shade 2 the most!